In June of 1995 my older daughter turned five years old and just after her birthday a new Disney movie was released, Pocahontas. She was crazy about that movie. She had Pocahontas pajamas, t-shirts, bathing suit, bed sheets, and that Halloween she was Pocahontas head to toe. Just recently when going through some boxes of old clothes I found the white crew socks that when folded down sported an embroidered image of Pocahontas, complete with “leather” fringe around the cuff. I saved them. Growing up in Plaquemines Parish, Louisiana, walking distance from my backyard to the mighty Mississippi River, I am familiar with the term river bend. There are several bends in the river in the area where I grew up. When I would come home from college on the weekends, I would head for one of these bends, park the car, and climb up on the levee to sit and watch the ships go by. I would climb down a bit of the levee so I wasn’t visible, but still safe from danger of the fast-moving currents and rocky shoreline. I always felt like I was home once I had seen the river up close like that. After college, I chose to stay in my college town and seek employment there. I had lots of friends in that town and compared to my hometown, it felt like city-life. I loved living there and participated in the community in many ways: serving on the parish council at church, singing in the church choir, volunteering on political campaigns, doing service work with the undergraduate members of my sorority, and eventually, becoming very active in the local community theatre troupe. Still, whenever I went home to see my parents, I would head for the levee to sit and stare and smell and feel the Mississippi River rolling past me. I missed my parents and my brothers, my aunt and uncle, and other relatives in my hometown, but I always felt like whatever it was I was searching for was elsewhere, like Pocahontas sings, “just around the river bend”. Hurricane Katrina changed everything. My parents lost their home, and my mother lost her will to fight. Katrina struck in 2005 and my mother passed away in 2007. She had fought kidney disease and other illnesses since 1993, but after Katrina, she just gave up. She had lost everything, and found herself starting over in “the apartment” which she said as though it were a four-letter word. In reality it was a duplex, and it was lovely, but it wasn’t hers, it wasn’t home. And, so, I don’t go to my hometown and sit on the levee and revel in the beauty of the Mississippi River. My dad now lives with my brother about forty miles from our hometown, and he is battling congestive heart failure. This week I have been here with them as my father bounced back and forth between the hospital ER and the rehab facility/nursing home poignantly called River Bend. Driving there to see him, I was struck by the irony of him being there, in a place called river bend, when that term had always brought such warm and happy thoughts to me. For four days I went to River Bend to sit with him, visit with him, help him sit up for meals and to go to the bathroom, and sometimes, I just sat there while he napped. I saw a lot in four days. I saw nurses and nursing aides treating patients with kindness and compassion. I saw staff smiling and joking with one another and with family members of the residents. I saw clean floors and good medical care being demonstrated. I saw familiar faces of people I from my hometown who were there for a variety of reasons: rehab, recovery from a stroke or hip surgery, and some who had nowhere else to go. I visited with my fourth grade teacher, who was lucid and witty. 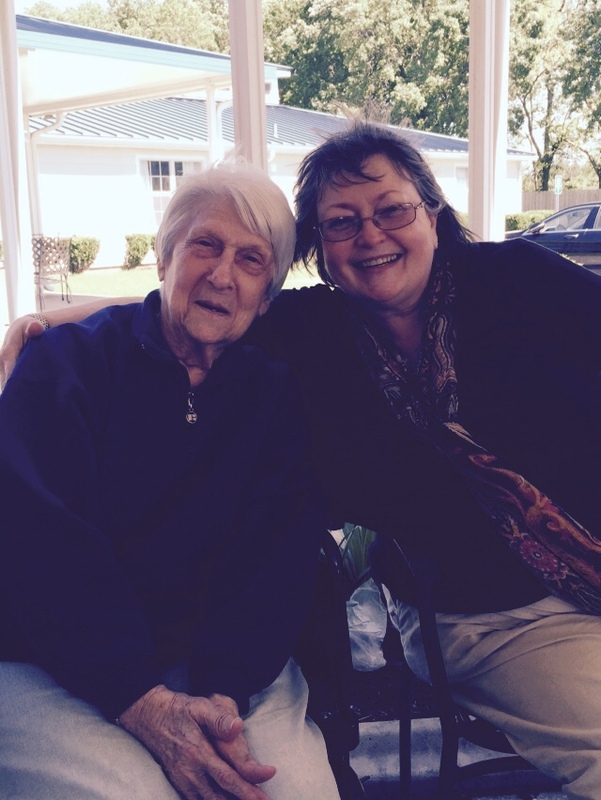 I visited with the sister-in-law of my first grade teacher, who was still sharp as a tack at the age of 90. I also saw some things there that made me incredibly sad. Some of those things will stay with me forever, burned into my memory in a way that only that kind of sadness can do. 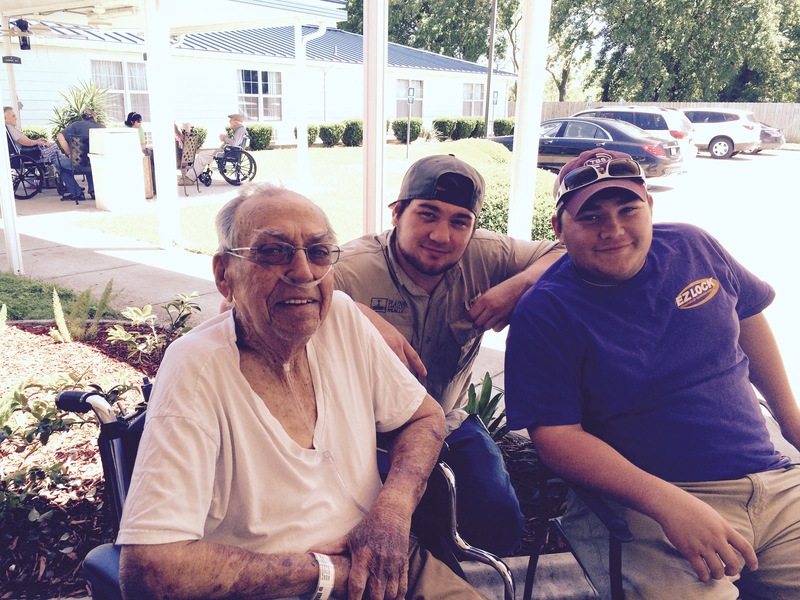 In the end, we decided to bring my daddy home to my brother’s house for home health care. He was very unhappy at River Bend, mostly because he was out of his element and partially saddened by what he was seeing there. 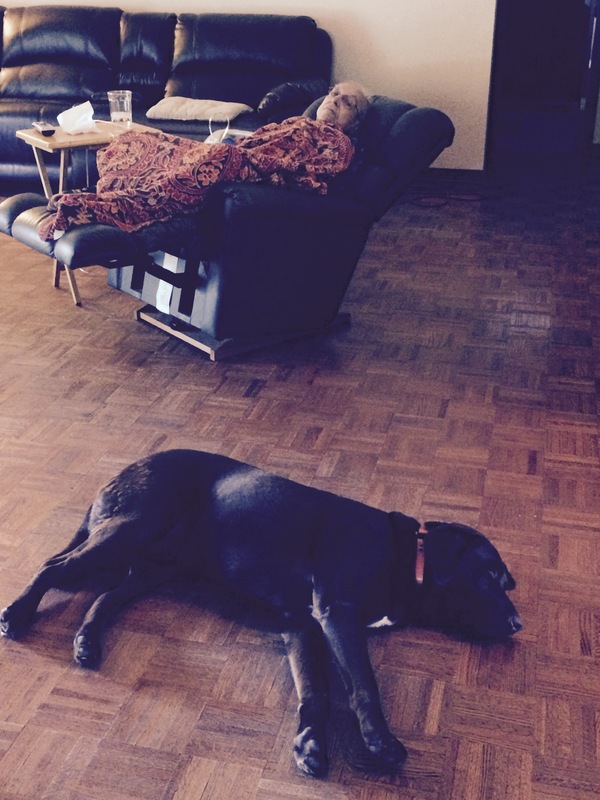 He is very weak and his prognosis is not good, but he is happy to be home in familiar surroundings, with my brother and his gentle giant of a chocolate lab. After nine days, I had to head back home. As much as I love my daddy and want to be with him, and as much as I want to stay and help my brother take care of him, I have to return to my own family, to my husband and daughters, to my sweet little dog, and to my 7th and 8th grade classroom. Just like Pocahontas, many years ago, I looked beyond the river bend and found my dreams, and it took me far away from Louisiana, far away from my hometown, far away from the mighty Mississippi River.